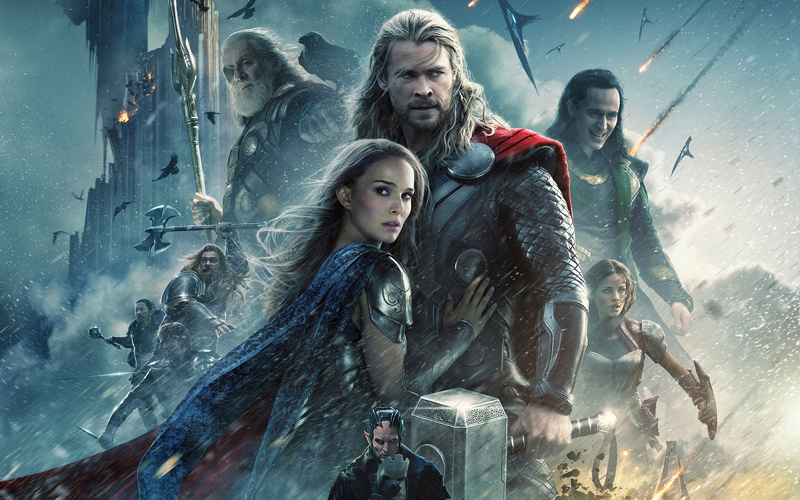 Sitting down and watching Thor 2: The Dark World is a continuation of a living dream for me, and a good kind of dream, the kind where you may just wake up wishing you could drift straight back to where you just were. You see, when I saw the first batch of this next generation of Marvel films, with Iron Man and The Incredible Hulk, I was in my geek boy element, having been a massive Marvel comic book fan since I was a kid. Now, not that I need to get validation from the mainstream audience to make me feel better about my lifelong love affair with men and women clad in tights who fight baddies, but it sure felt good seeing my beloved characters gracing the big screen and being enjoyed by the masses, but mainly it was seeing the characters given the respect they deserve. What does that mean, well, if you need a reference, just compare any one of the 80/90’s Batman films with Batman Begins, and you’ll see the major difference I see between the 90’s and early/mid 2000 Marvel films and the current batch. Other than Spiderman 1 and 2, and some lesser known Marvel comic book character movies that have been made, I had been pretty underwhelmed by such film series as The Fantastic Four, X-Men, and a few other stand alone films. But when Marvel took the bull by the horns and started taking control of their own destiny, it seemed they shifted things into top gear, moved into alignment with the Christopher Nolan comic book ethos, and started making solid Marvel comic book movies, to my delight. That’s not to say these films have been perfect, as the first Thor, Captain America, and the 2 Iron Man sequels have their issues, but because they were all parts of a bigger picture, that being The Avengers, I gave them some slack. Which, was fully rewarded by what I think is the best superhero film ever made, no matter what comic universe is looked at, be it Marvel, DC, Darkhorse, or any other, and that was The Avengers, which I thought was fricken epic! 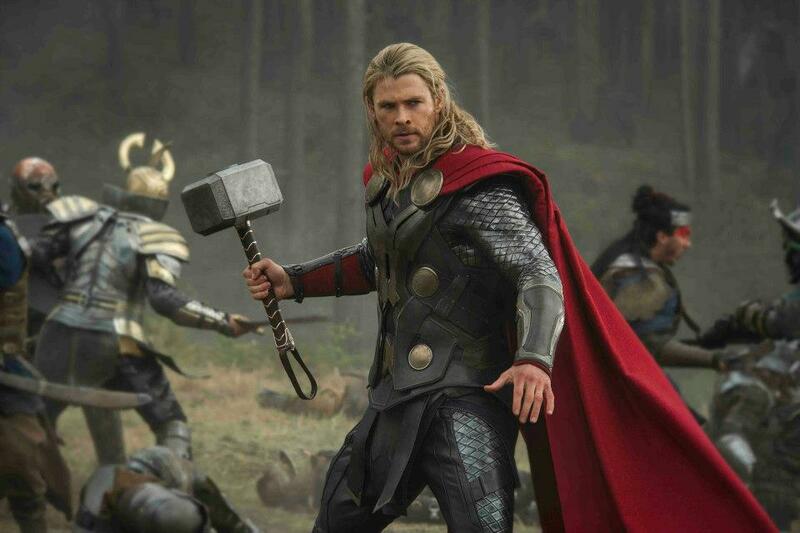 So with Phase 1 of the new Marvel films done and dusted, we kick into gear with Phase 2, which are all building up to The Avengers 2 in 2015, and that started with Iron Man 3, and now this film I’m reviewing today, Thor 2: The Dark World. So though it’s a standalone film, I’m never going to review any of these films like they are, and instead I review them as one piece in a massively awesomely epic Marvel comic book bonanza. Yes, this film was far from perfect, yes it was a little overly sentimental in parts, yes the action was just ok, yes I could be skewed in the films favour as I have the hots for both Natalie Portman and Kat Dennings, and possibly even Chris Hemsworth and Tom Hiddleston, but all up I still enjoyed this film. It had the right amount of humour, built more layers into the characters, especially the ones that play into The Avenger films, and the all encompassing story that covers these different phases of films kept me as excited as I was during the first batch of films. So, my final thoughts on the film? Well, it’s not perfect, but still good enough to really enjoy, and makes me look forward to more films in this awesome Marvel universe. 05/11/2013 in 8 Out Of 10, Movies.